Back In November 2017 Xiaomi’s sub brand Redmi added a new series ‘Y’ in their smartphones line up. The ‘Y’ series smartphones by Redmi are Selfie-centric, last year the company launched Redmi Y2 which was priced around Rs 10,000. The aim of the company with the ‘Y’ series is to provide best selfie camera phone under budget price like Rs 10,000. Yesterday on twitter Xiaomi’s India MD Manu Kumar Jain teased a upcoming smartphone with 32 MP Selfie Camera. In the tweet the ‘Y’ letter was frequently used. So it is Suppose to be the Redmi Y3 with 32 MP Selfie Camera. 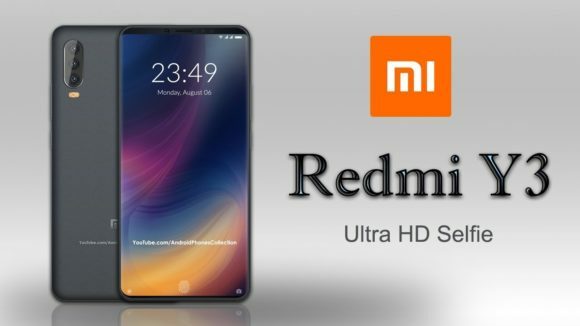 Redmi Y3 is likely to have MIUI 10 based on Android 9 Pie. Other Specifications, Pricing and Launch are not yet known, even though the phone was leaked few weeks back. However because of crazy competition like Realme U1 on Amazon which features a 25 MP Selfie cam and Helio P70 SoC, priced at Rs 9,999. So Redmi Y3’s pricing would be aggressive too. We are likely to hear more on this phone in coming days. Stay tuned with Alloftop for more updates.